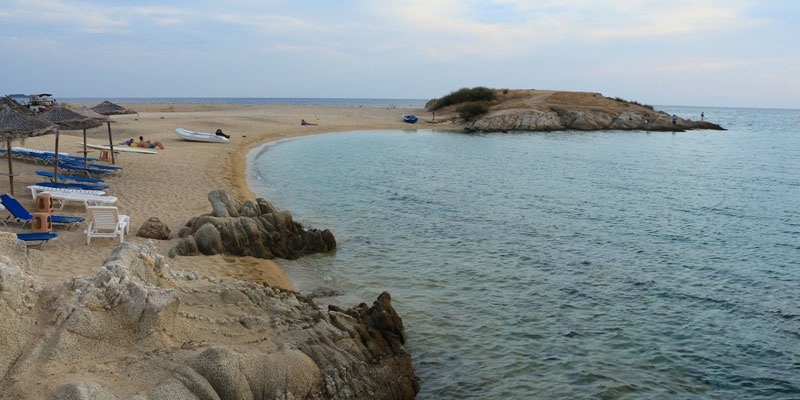 Korakas beach is a little sand spit at the north end of Toroni beach. There is a small rock island at the point and the sand has filled in between the island and the mainland forming two small beaches. In the peak season you can see the center of the peninsula filled with caravans as it turns into an unofficial campsite. There is a canteen that organizes part of the beach with some sun-beds and umbrellas and offers drinks and seafood. 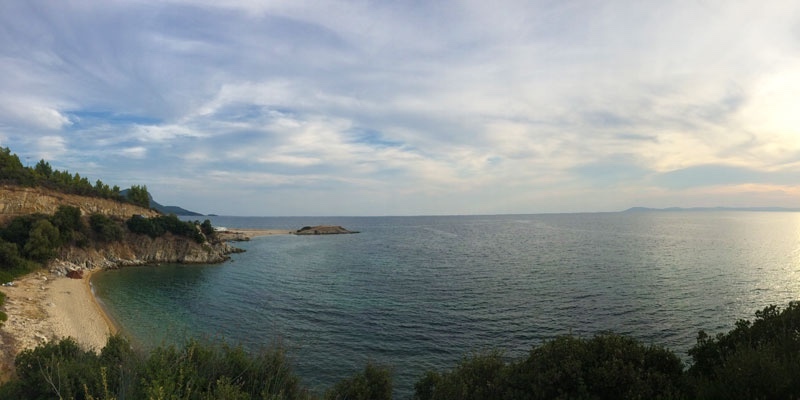 Korakas beach wins over many people because of its beauty. 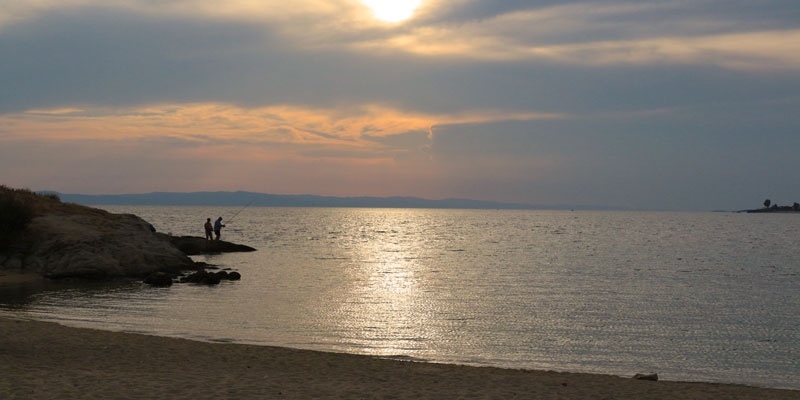 In the evening you can see many fishermen with fishing rods trying to catch fish from the beach. 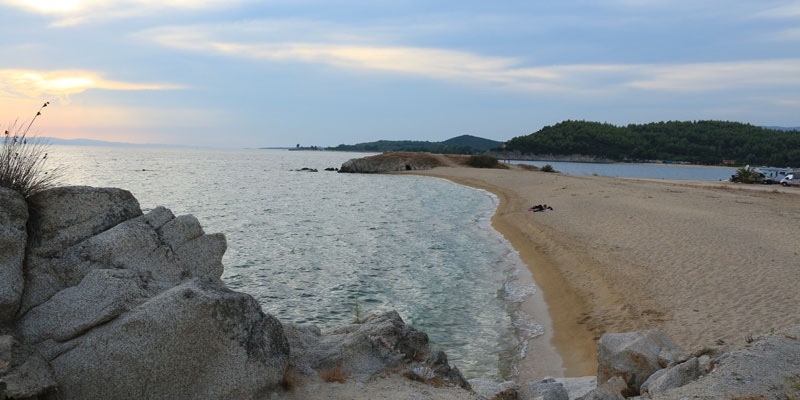 Korakas beach is a sand beach and the sea bottom is also sandy. The bay side where the sun-beds are is shallower and a good place for families with children. 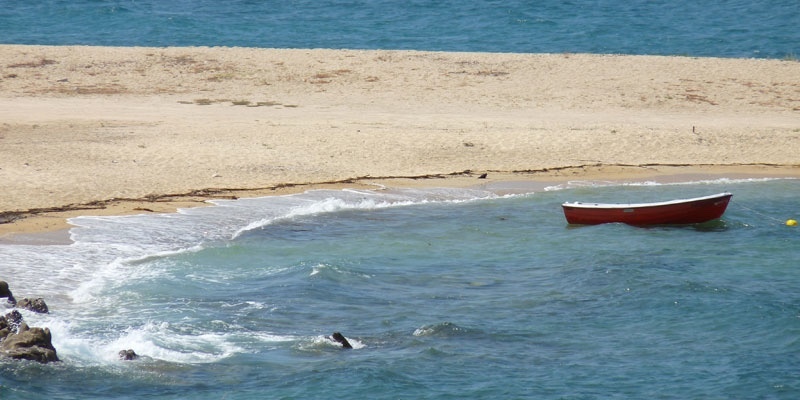 You can easily swim from either side, but on a windy day be aware that you may have waves. 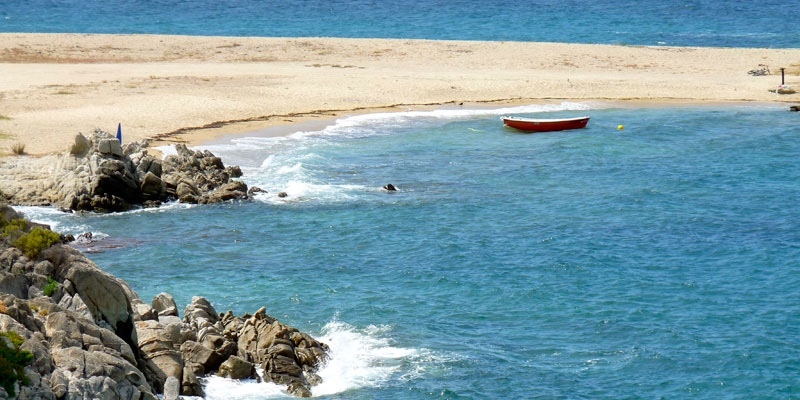 Bring a mask and snorkel and try snorkeling by the rocks. Real pretty sand beach where you can get cheap food. Place to park the caravan. Choose between the wavy or the calm bay side. Not an official campsite for caravans. From Toroni you drive on the main road of Toroni north. You just reach the end of town and you will see this beach where the road turns. Fine little beach to come for lunch and a swim.